Our experienced team of doctors operate various cosmetic surgery procedures like Hair Transplantation, Liposuction, Tummy Tuck, and Breast Reshaping etc. We provide our patients with right consultation and treatment plan during their first visit to ensure they are satisfied with the end result. 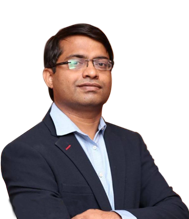 Dr. Audumbar Borgaonkar is a well-known Hair Transplant specialist with rich experience in handling patients with hair loss and aesthetic problems. He is an alumnus of famous Byramjee Jeejeebhoy Medical College, Pune. After completing his post-graduation in General surgery from Lokmanya Tilak Hospital in Mumbai. He completed his Super Specialization in Plastic, Cosmetic and Reconstructive surgery from prestigious Grant Medical college and Sir J.J.Group of Hospitals in Mumbai. He has experience of performing various plastic and cosmetic surgery procedures like Hair Transplantation, Liposuction, Tummy Tuck, Breast surgeries etc. He also has performed multiple non-surgical aesthetic procedures like chemical peels, thread lift, Botox and Fillers. At Tata Department of Plastic Surgery, he underwent advanced training in Facial Plastic Surgery procedures like Rhinoplasty, Facelift, Browlift, Auroplasty, Scar Management, and Lip Surgeries etc. He underwent advanced training of LASER in the same institute. As a leading consultant Plastic and Cosmetic surgeon his aims is to provide excellent cosmetic surgery services to help people regain their confidence to lead a happy & contended life. He is also a member of Association of Plastic Surgeons of India (APSI) and Association of Surgeons of India (ASI).